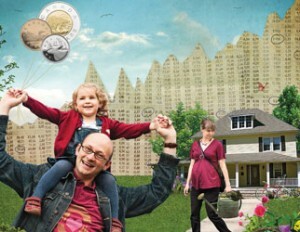 Gerry and Fiona make a middle-class $82,000 a year, but thanks to some heavy saving and savvy investing, they’re already worth more than $1.5 million. Do they have enough to retire in middle age? 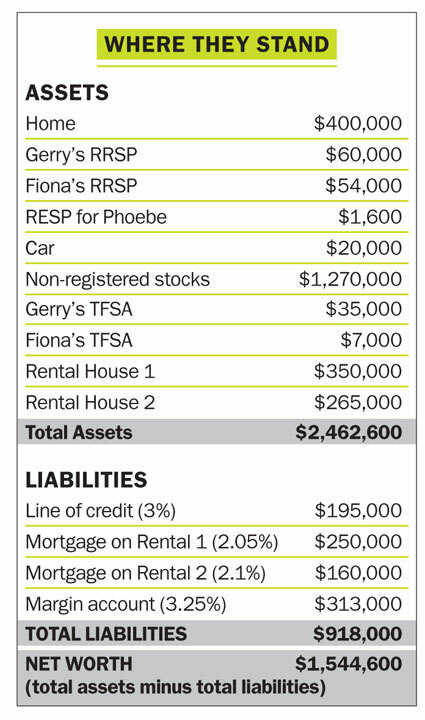 Gerry and Fiona (we’ve changed their names to protect their privacy) have stock investments valued at $1.27 million and a pair of rental properties. After paying off their debts, their net worth would be well over a million. In fact, Gerry thinks he and Fiona can quit their jobs today and live off the income from their investments for the rest of their lives. volunteer work with the cancer society, several local charities, and with a girls’ orphanage in Costa Rica. 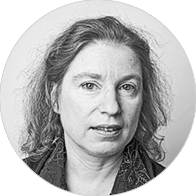 “If we have enough money, why not just quit our jobs and do more of what we love—charitable work?” says Fiona. In 1997, the Gardas married and received a cash gift of $45,000 from Gerry’s mom. They invested the money, along with $20,000 of Fiona’s savings, in their home and the two rental properties they still own today. The Gardas are carrying some large debts. Their mortgage is structured as a $195,000 line of credit, which they service with the income form their stock portfolio. They also owe $313,000 in a margin account at 3%. Their two rental houses have mortgages totalling $410,000, which will be paid off by the time Gerry turns 55. Karin Mizgala, CEO of Money Coaches Canada, says the Gardas will be relieved when they crunch the numbers. “Over the long run, their income will cover their expenses.” The key, she says, is the couple’s frugal lifestyle. “The less you spend, the earlier you can retire,” Mizgala says. 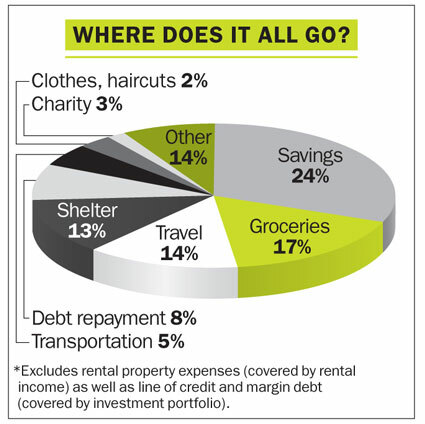 “But few people ever consider a more frugal life until I walk through the numbers with them. They have become convinced by the media that they need $2 million before they can retire. For most of us, it’s much, much less than that.” Here’s what the Gardas should do. Once they pay off the margin loan and their line of credit, the Gardas’ investment accounts will be valued at about $920,000. This is the money they will have to depend on, at least until age 55, to fund almost all of their $45,000 in annual after-tax expenses. The couple cannot retire with a leveraged stock portfolio. “They are in danger territory,” says Jim Otar, a Certified Financial Planner and author in Toronto. “Their exposure to risk is highly amplified.” Otar notes that a not-so-unusual 40% correction in their holdings means the couple would lose 62% of their net investments. “They should pay off all their debts before quitting their jobs,” says Otar. Selling their stocks may take the Gardas up to three years, because it will trigger capital gains or losses. The Gardas need to spread these over two or three years to minimize taxes. They should get help from a tax accountant to do this. Then the portfolio needs to be rebuilt. Laura Wallace, vice-president and portfolio manager with Scotia Asset Management in Toronto, recommends a mix of 50% equities and 50% fixed income. To ensure regular income, inflation protection and tax-efficiency, the portfolio should include at least 20 dividend-paying stocks, as well as government and corporate bonds with staggered maturities. Most of the dividend stocks should be Canadian, as the dividends get favourable tax treatment. “Such a portfolio can be expected to generate an after-tax return of about 5%—enough to cover their annual expenses,” says Wallace. Although Gerry and Fiona could probably retire today, the experts hesitate to recommend this strategy. That’s because as their kids get older, $45,000 in income may not be enough. “The likelihood that expenses will increase substantially after the kids turn five is high,” says Wallace. Otar is more cautious. He’d like to see both Gerry and Fiona work six more years, until Gerry is 47. “If the couple is unlucky enough to experience a worst-case scenario in the coming years—higher inflation, a steep stock market decline, a crash in the housing market—their investments will take a big hit,” he says. If the Gardas take Otar’s advice, then at age 55 their investment portfolio should still be worth about $1,000,000—even with $45,000 to $50,000 in annual withdrawals over those eight years. At that time, the couple will also have at least $1,600 in monthly income from Gerry’s government pension (a bit more if he works until 47) as well as $20,000 annually from their then fully paid-off rental houses. With CPP payments at 60, that should be more than enough to last the Gardas well into their 90s.